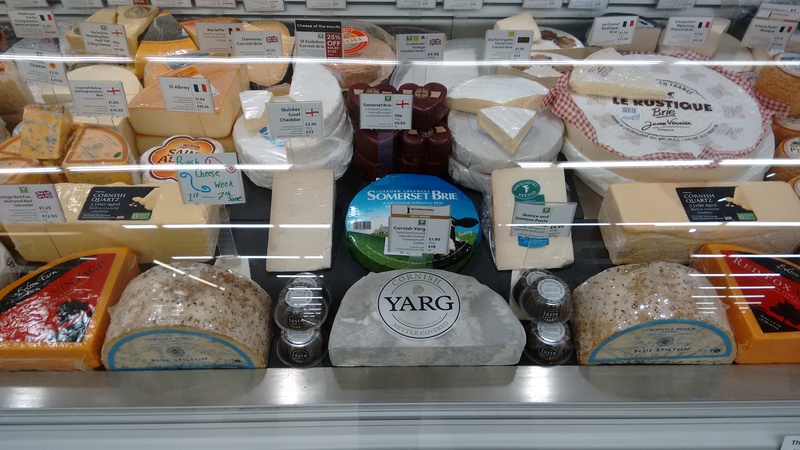 This week is British Cheese Week and as a nation we now produce over 700 different cheeses so wouldn’t it be brilliant to try something new on the cheese board this week. Whatever shop you use and whoever your cheesemonger is don’t be afraid to ask for something a little unique from good ol’ blighty. 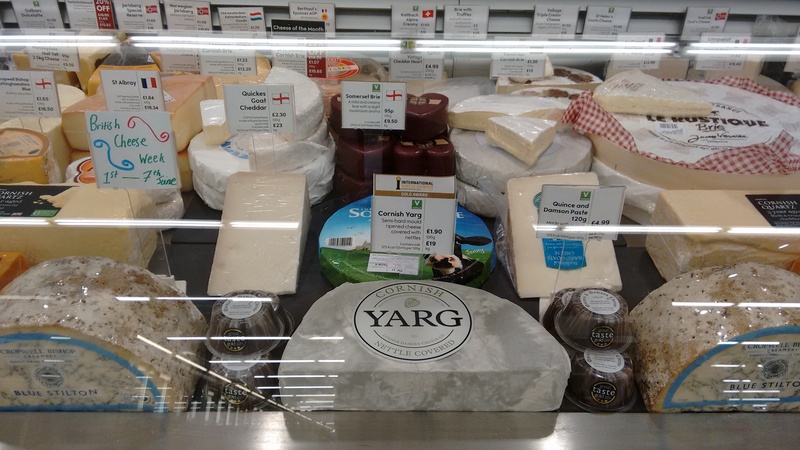 I worked on a little display for my counter at work on Tuesday to help celebrate, although we are a little limited on options I just couldn’t let it pass by unnoticed considering I have a hand in deciding the winners of the British Cheese Awards to which this week relates to. 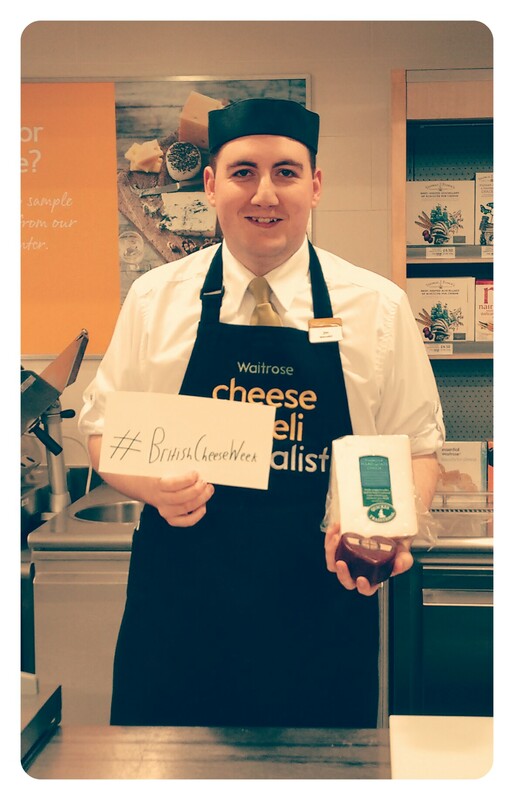 British Cheese Week was created to raise the profile of British Cheese through a national campaign and to celebrate the winners of the British Cheese Awards. I think it would be brilliant if everyone who reads the Cheesy1 blog would at least try one new British Cheese that perhaps may be an alternative to a Continental or a cheese that you may have not even seen or tried, because cheese can be an adventure that sometimes may push your personal tastes but isn’t that the spice of life? It may not only benefit your tastebuds but the farmers, cheese makers & cheesemongers that spend their time preparing, making & selling their goods to the eager cheese eaters like yourself. So why not join in the fun and put a new British Cheese in your basket!